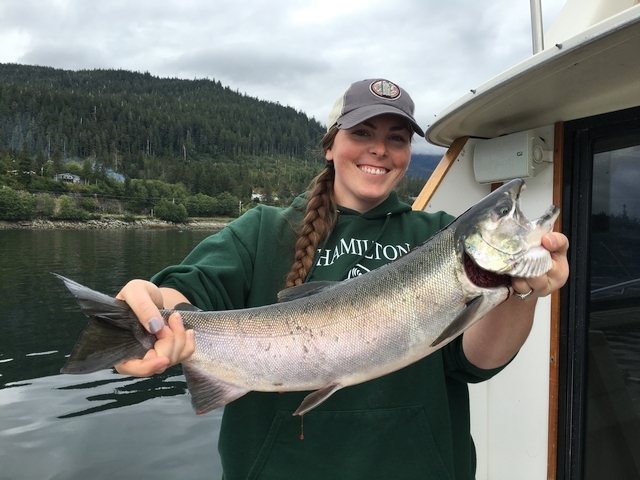 * Fishing Licenses and King Salmon Stamps can be purchased on board, but purchasing them online saves fishing time and hand written paperwork and is much appreciated. Cruise ship passengers will be met at your ship by Captain Clay as you get off the ship. No long taxi rides, buses, or shuttles. Just get on the boat and go fishing. If you are staying in town, I will meet you at the boat slip at a designated time at clients preference. 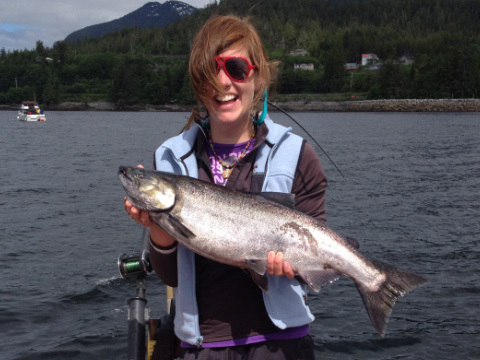 Fishing Licenses/King Salmon Stamps can be purchased onboard. 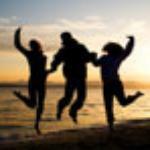 Children under the age of 16 do not need to purchase a sportfishing license. We have all the safety equipment that is required by law and then some. In Alaska, "All persons under 13 years of age must wear a USCG approved life jacket while on the deck of a boat or in an open boat." 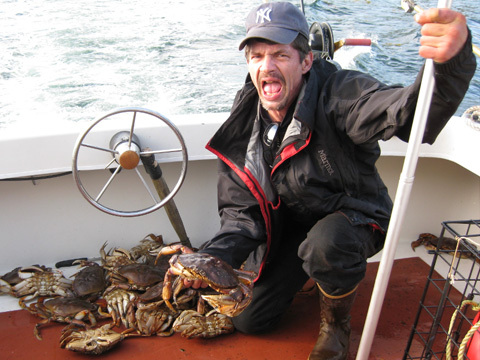 "Captain Clay Slanaker is the absolute finest fishing guide in Alaska! On a beautiful, sunny 4th of July Capt. Clay guided 3 of us out to his "honey hole". 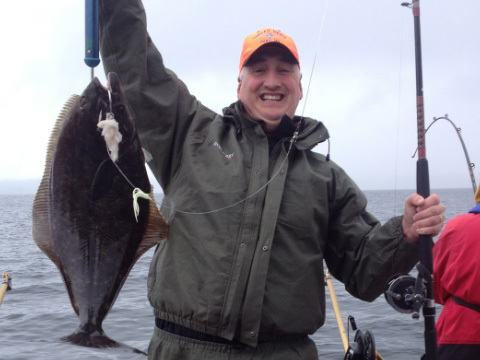 We caught turbot, pacific cod, rockfish and of course some Halibut. 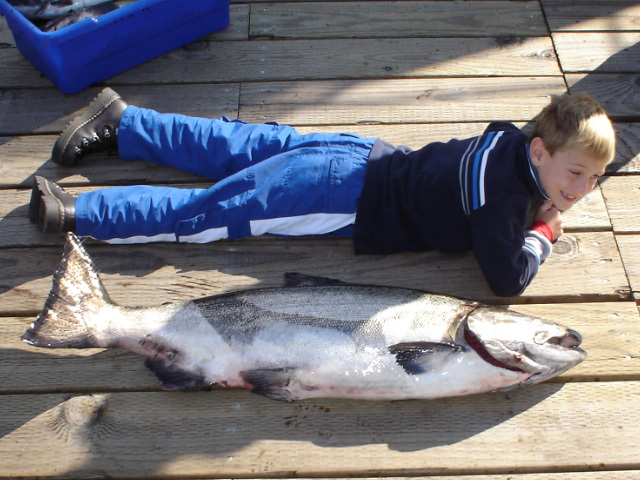 Not just any halibut, but an area record 265 lbs monster of a halibut. I know that this doesn't happen every day, but Capt. Clay was extremely well-prepared to handle this giant of a fish...This was an unbelievable fish! 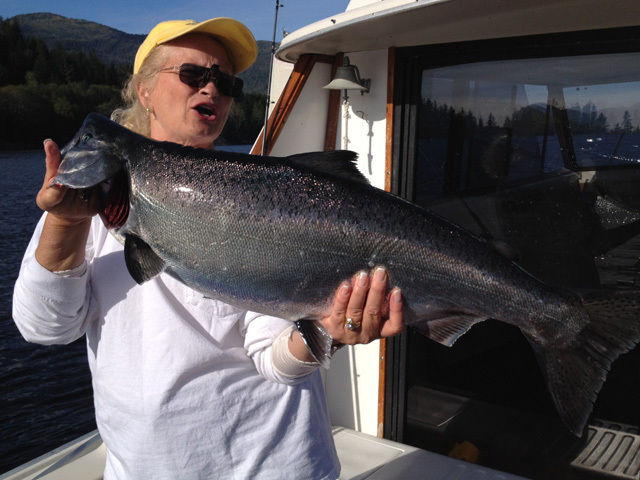 Even if we had not landed such a huge fish (after a long struggle), I would have still rated Capt. Clay as EXCELLENT. 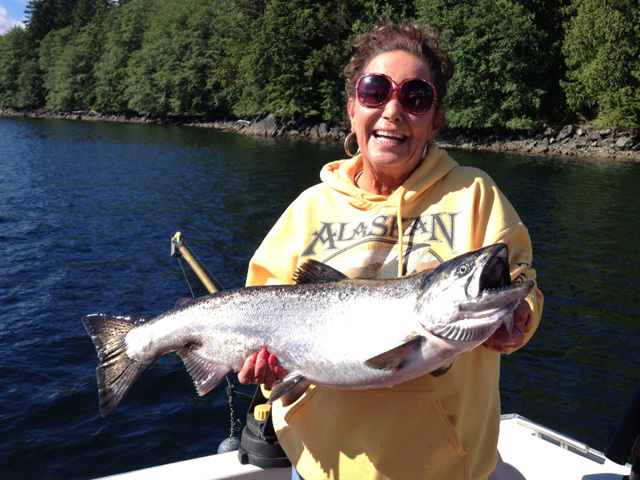 I will make sure that my next fishing trip in Alaska is in Ketchikan with Capt. Clay. 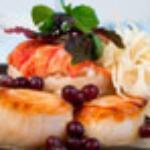 He is very organized, very knowledgeable, and easy to get along with. With my strongest recommendation - ask for Capt. Clay!" 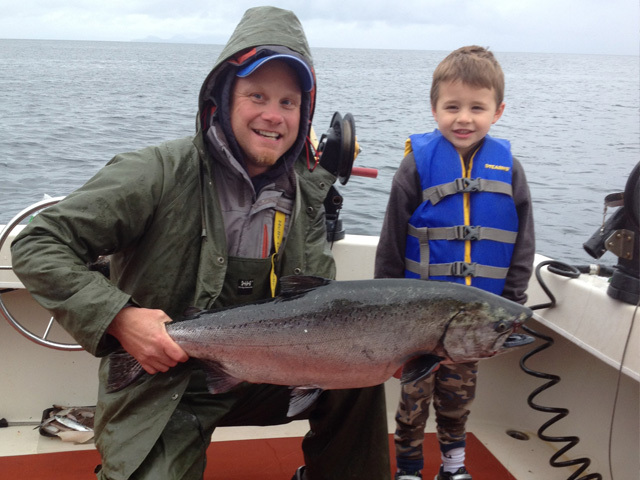 "Captain Clay Slanaker from The Bites On took us for a wonderful day salmon fishing. I booked him directly and not from the cruise boat mostly because of cost but also based on a recommendation. I am so glad we did. We were a group of five with three adults and two kids aged 11 and 8. He was great with the kids and adults alike. Captain Clay was waiting for us at the dock and we were in his boat and fishing in 15 minutes. 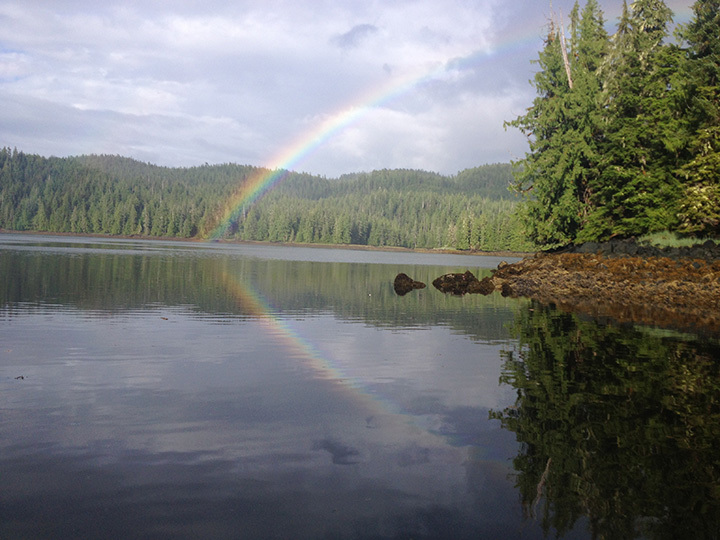 It was a great day and we caught 25 salmon. We did have the fish processed and sent home and it is delicious. 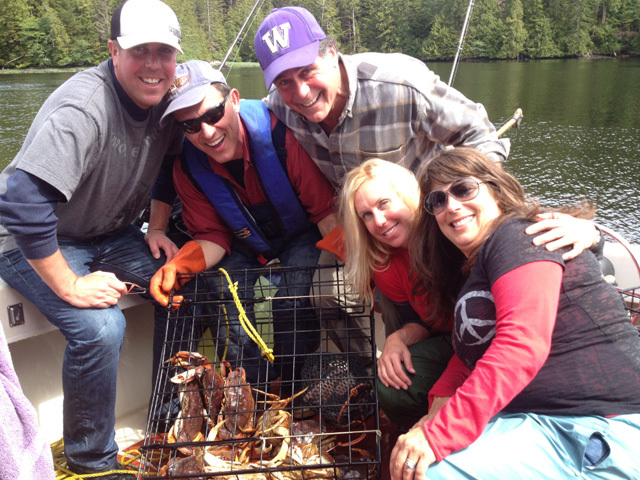 One of our favorite days on the Alaskan Cruise."